As part of Marcus Theatres’ Theatre Entertainment Network, Point and Eastgate are presenting a series of classic Oscar winners, starting with the historical epic “Ben Hur” at 1:30 p.m. and 7:30 p.m. Monday, Jan. 6 through Thursday, Jan. 9. That chariot race was made for the big screen. Interesting that Marcus is devoting its entire January to classic films, and not mixing in indie films as they have in past months, which could mean the indies haven’t been as successful as anticipated. Sundance Cinemas, meanwhile, is tacking a different way in January with its Classic Series, presenting a series of comedies from the ’80s and early ’90s. 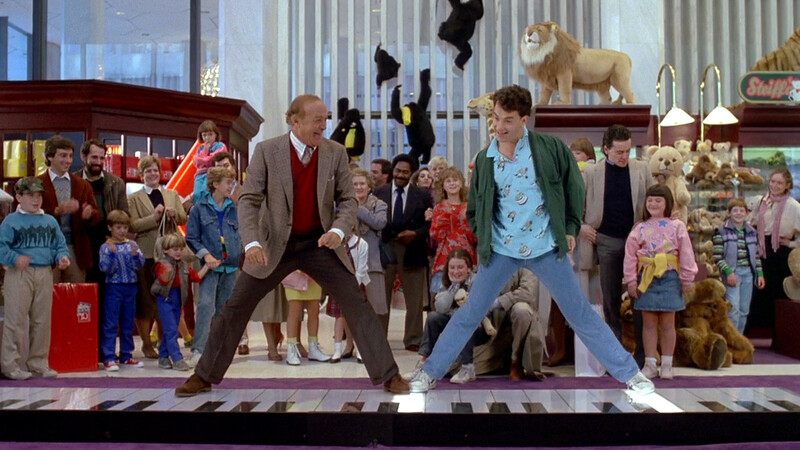 It kicks off this Wednesday with “Big,” incredibly over 25 years old, starring Tom Hanks. I haven’t seen it in ages — just seeing him nibble on that baby corn will be worth the price of admission. From there, Sundance has “The Princess Bride” on Jan. 15, “Fast Times at Ridgemont High” on Jan. 22, “Ferris Bueller’s Day Off” on Jan. 29, “Groundhog Day” on Feb. 5 (three days after the real Groundhog Day) and wrapping up with an early Valentine’s Day showing of “Sleepless in Seattle” on Feb. 12. And as I’ve mentioned earlier, the UW-Cinematheque will start its free spring series on Jan. 17, which includes a lot of classic films, including a semester-long salute to Alfred Hitchcock at the Sunday afternoon Cinematheque at the Chazen series. Weren’t DVD, Turner Classic Movies and Netflix supposed to have killed interest in seeing great old movies on the big screen? Funny how that didn’t work out.